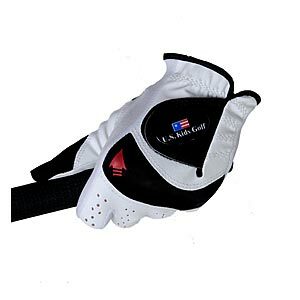 Durable leather and synthetic golf glove with stretch side panels. 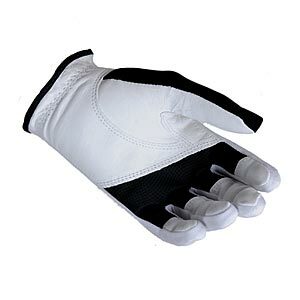 It has a unique knuckle arrow and palm pad to help kids learn the proper grip. 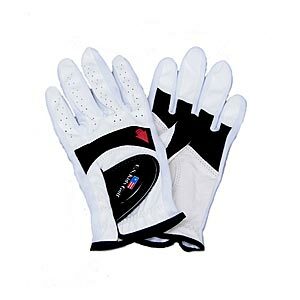 Keep in mind that the left glove is used by right-handed golfers and the right glove is used by left-handed golfers.